Ferrocene is an organometallic compound. It is the prototypical metallocene, a type of organometallic chemical compound consisting of two cyclopentadienyl rings bound on opposite sides of a central metal atom. Such organometallic compounds are also known as sandwich compounds. The rapid growth of organometallic chemistry is often attributed to the excitement arising from the discovery of ferrocene and its many analogues. 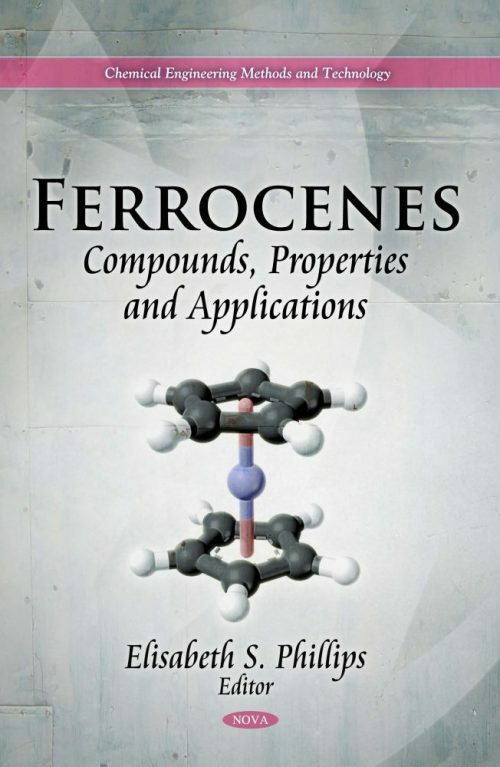 This book presents current research from across the globe in the study of ferrocenes, including the synthesis of pristine and doped carbon nanotubes using ferrocene; the transition metal catalyzed coupling and carbonylation reactions of ferrocene derivatives; and the exploitation of ferrocene for the development of mechanically interlocked and non-interlocked synthetic molecular machines.